It seems like this problem is limited to Firefox, but only to some Firefox users. Can anyone who is experiencing this please give a list of what extensions you have installed? I used to have the problem but not anymore. at least I haven't noticed it since I emptied my cache. I'm having this issue on my iPad. I think it's the iOS 5.0.1. Don't know which version of Safari that is. All my firefox machines display it correctly. Hard refresh, clear all cache and temp files, etc to no avail. Updated FireFox from v15.0 to v15.0.1; problem solved. Update: Also worked on another system running FireFox 15.0 (updated to 15.0.1; problem solved). Just wanted to chime in (sorry for necrobumping but it seems more appropriate than a whole new thread) and say I really like the new font and/or size whatever got changed is easier to read. I notice the font and size of the actual posts threads stayed the same tho, and it's like so tiny on a smartphone. I have to admit the Karma feature is probably just what people like me (who might be a bit impetuous, on occasion) need to help them think twice before hitting that post button. Maybe even preview should be mandatory... Maybe even on PMs... lol. Anyways, thanks for the layout adjustment. Side effect of me implementing tapatalk support. You're welcome. Ahh ok. Well looks like tapatalk works now. 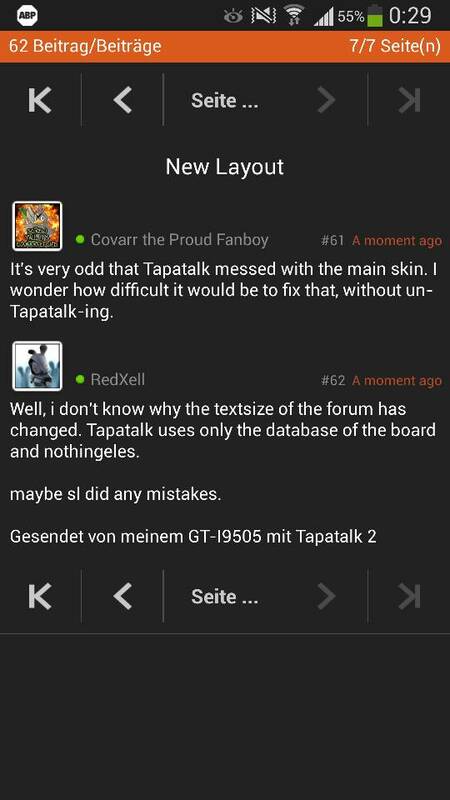 It's very odd that Tapatalk messed with the main skin. I wonder how difficult it would be to fix that, without un-Tapatalk-ing. Well, i don't know why the textsize of the forum has changed. Tapatalk uses only the database of the board and nothingeles. 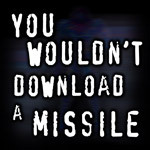 maybe sl did any mistakes. A screenshot of the skin from tapatalk. Tapatalk stuff is being added to the HTML before the Doctype (presumably the intercept message for mobile users). This _seems_ to be triggering a known bug with user agent stylesheets, such that the default text size for table content is being applied to the homepage. I cannot fix this without access to the server. Lately I can't reach the forum often and it seems like it's struggling to keep up with even slow traffic. It didn't start til recently so can't be related to tapatalk can it? I get timed out a lot, and very rarely do my posts go through normally, they do get posted, but the transfer to the new post is timing out almost every time after sending one through. Anyone else had this going on? I've noticed this too. If I open the thread again in another tab it'll be fine and my post shows up, but I'm not being redirected at all for the most part. I also occasionally cant get to qhimm at all. It's usually fine if I reload the page after a minute or so, but it's been happening more frequently. Can we have ffviii sub forum? Now that nearly everyone got their hands on ffviii and loads of mods are releasing for it this would be great to have, the forum is really buggy/messy/unorganized kinda hard at times to look for a mod/etc even with the search function for something with all this clutter and some things all over the forums trying to find something specific especially for ffviii ?? I would also suggest a translation main thread.